Women's literacy is often assumed to be the key to promoting better health, family planning and nutrition in the developing world. This has dominated much development research and has led to women's literacy being promoted by governments and aid agencies as the key to improving the lives of poor families. High dropout rates from literacy programmes suggest that the assumed link between women's literacy and development can be disputed. This book explores why women themselves want to learn to read and write and why, all too often, they decide that literacy classes are not for them. 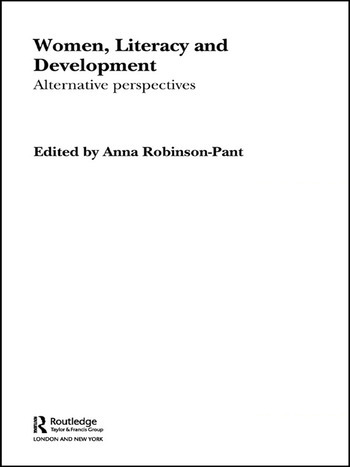 Bringing together the experiences of researchers, policy makers and practitioners working in more than a dozen countries, this edited volume presents alternative viewpoints on gender, development and literacy through detailed first-hand accounts. Rather than seeing literacy as a set of technical skills to be handed over in classrooms, these writers give new meaning to key terms such as 'barriers', 'culture', 'empowerment' and 'motivation'. Divided into three sections, this text examines new research approaches, a gendered perspective on literacy policy and programming, and implementation of literacy projects in African, Asian and South American contexts. With new insights and groundbreaking research, this collection will interest academics and professionals working in the fields of development, education and gender studies. Anna Robinson-Pant is a Lecturer at the Centre for Applied Research in Education at the University of East Anglia. As a development planner, teacher trainer and researcher with various international aid agencies, she has spent much of her working life in South Asia. Her publications include Why Eat Green Cucumber at the Time of Dying? (2001), an ethnographic study of women's literacy programmes in Nepal which won the UNESCO International Award for Literacy Research.